Climate Common Sense: Deniers are Scientific Buffoons Claims Clever Philip Adams! 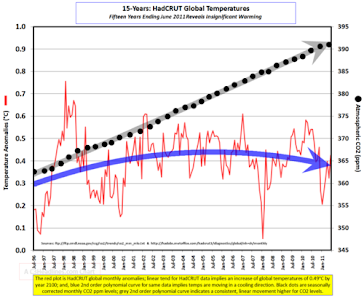 Deniers are Scientific Buffoons Claims Clever Philip Adams! Human society has over time evolved from a village economy where everyone was productive or they starved, to the modern capitalist and hugely productive world we live in today, fueled largely by the huge amounts of low cost energy available. This metamorphosis has allowed the development of an intelligentsia (their term ,not mine) , many of whom , unlike the workers who support them with food , housing and a comfortable living ,swan about attacking the very source of their fine lifestyle while producing very little which is tangible. The easy way to recognise these people is that they believe and will tell you that they are much cleverer than those who disagree with them and those who labour to support them! 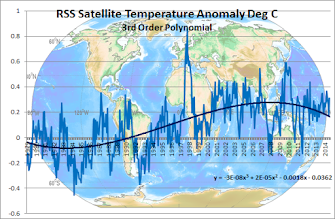 Philip Adams, in his article "Fiddling while planet burns on climate change" touts his arrogance in calling Global Warming non-believers "scientific buffoons" and the "fraudulent and the exceptionally foolish"! There is criminal stupidity from climate change deniers and the fossil fuel industries continue to subvert efforts to transform our energy production. The media give the oxygen of publicity to scientific buffoons - and the crisis looms ever larger. Nero famously fiddled while Rome burned. The global response to the problem? Fiddling while the planet burns. I'm not sure that Professor Richard Lindzen or Professor Bob Carter would think of themselves as "buffoons" but obviously they are not as smart as Mr Adams! Adams also shows his respect for the public with "many voters don't want to think at all"
It is to the shame of democracies that authoritarian China is responding more effectively. Philip Adams is one major argument against ever leaving the village economy!!! PS. Adams in common with all those do-as-I-say types exhorting us to curb our lifestyles to reduce our carbon footprint has two dwellings according to Wikipedia which is one more than the majority of "exceptionally foolish" voters such as myself.! Mr Adams's folly is exceeded only by his enormous ego. He stands in judgment obviously without having properly considered any other evidence than that which happens to suit his particular view of the world. Grow up Philip. We are not as stupid as you like us to believe.